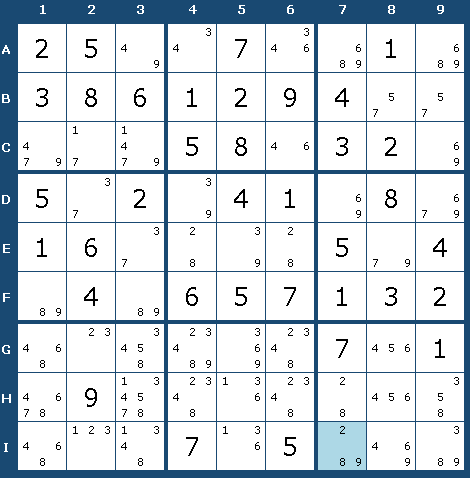 What can be done to solve this sudoku puzzle, other than guessing? 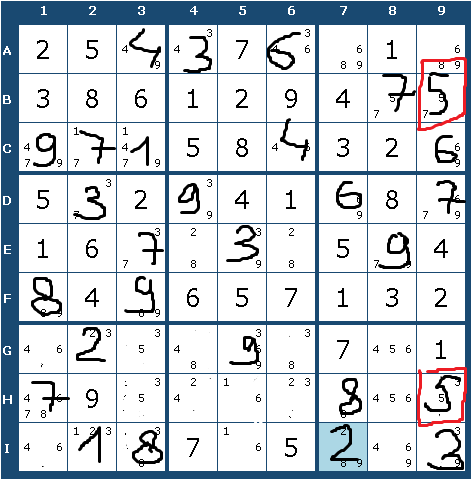 Any tips/hints? We can say F1, F3 is 9,8 because it is fixed regardless of whether we pick 3 or 4 for A4. If we choose A4=4, then A3=9 and so F3=8. For A4=3 the case is (a lot) more extended, but only uses simple eliminations. First D4=9, E5=3, E3=7, E8=9. Then D2=3 and so G2=2 and I2=1. From E5 and I2, I5=6. From E8 and I5, I8=4. From I5 and I8, I1=8 so F1=9. If you put 4 into A3 and go through simple elimination steps based on the options you have already figured out, you'll see that it was a wrong move. So A3 must be 9. Not the answer you're looking for? 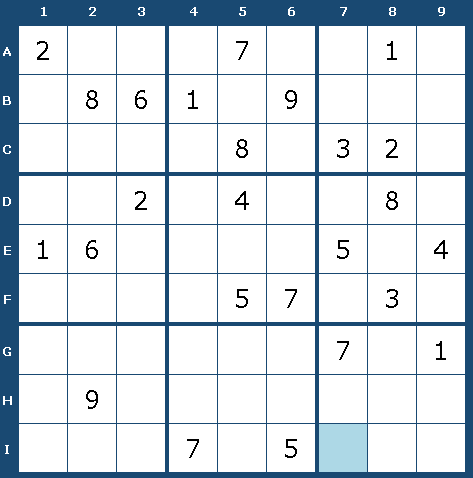 Browse other questions tagged strategy sudoku or ask your own question.